The last few days of prey sampling were fortunately very successful as we were able to collect several zooplankton samples in relatively close proximity to bowhead whales. It seems likely that the whales were feeding deep in the water column–possibly grazing on small crustaceans (Calanoid copepods) that are about the size of grain of rice. But, without having the ability to sample discrete depths in the water column, the exact location of the prey will remain unknown. Hopefully next summer we will be able to sample the vertical distribution of the prey to gain a better understanding of how zooplankton aggregate in the water column. On our last day on the water the wind picked up and we had a pretty sloppy trip out to Cumberland Sound. 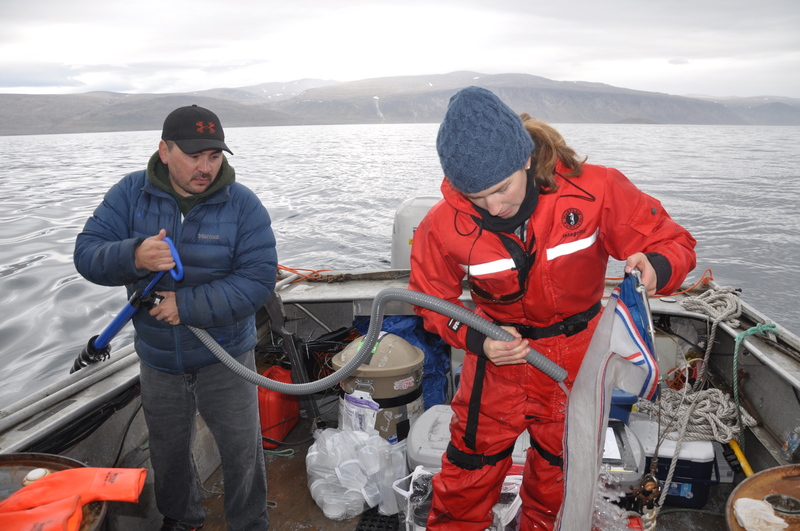 Conditions like these are definitely not ideal for sampling because it quickly becomes very easy to spill your organisms while you are trying to remain (at least somewhat) balanced in a teetering boat. It might not seem like a big deal to loose a few organisms here or there, but spilling even the teensy tiniest amount results in underestimating the total amount of prey available in the water column. A good friend of mine taught me how to process zooplankton samples years ago and while doing so he would frequently say “dryness is your friend”. I think this repetitive saying was made largely as a reminder to not spill my beaker full of seawater and plankton (I went through a clumsy phase while getting acquainted with the lab). Regardless of the origin of the saying, this little mantra has stuck with me. 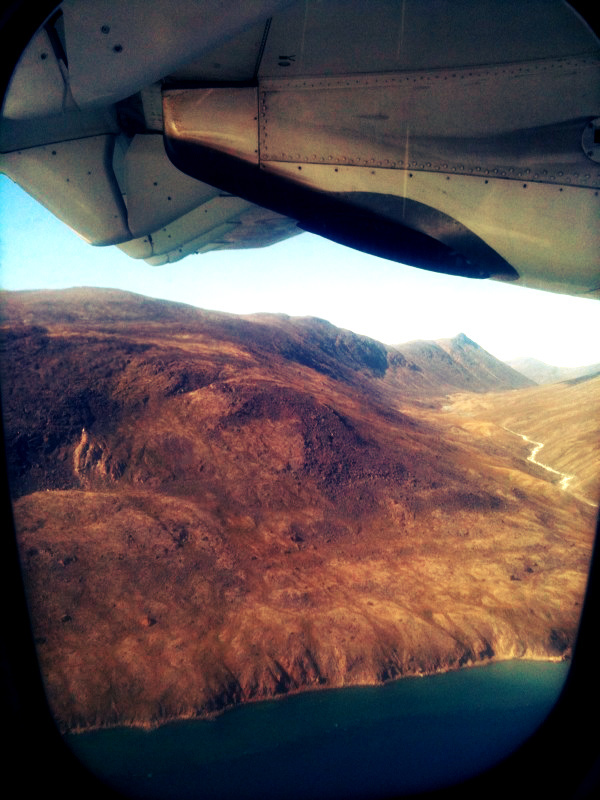 So instead of risking the loss of samples and perhaps our breakfast jerky, we headed back into Pangnirtung Fiord. While steaming towards the harbour with flat calm seas, our Captain Ricky asked with a smile on his face, if we should take a zooplankton tow. Since our previous sampling strategy involved locating large groups of whales, sampling in an empty fiord seemed ridiculous. 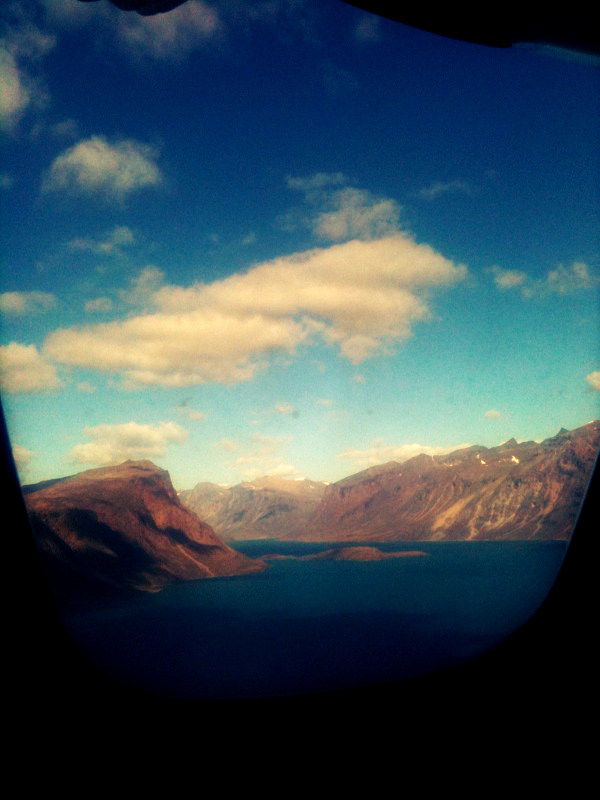 But, after a few minutes we decided why not, it was nice outside and I don’t think we were ready to go back to land. So we dropped our net into the water and sent it down to just above the sea bottom (only 30 m). With no animals in sight (including sea birds, fish or seals) we didn’t expect to come up with much as Eric (the Captain’s son) hauled up the net. What we did find though, was one really bright orange pteropod.I don’t think that either one of us expected to land a large haul and we realized that it was just as useful to know what isn’t found in areas where bowheads are absent (negative data is still data) just as it is important to know what zooplankton is present in areas where bowheads concentrate. Pteropods are free-swimming pelagic sea snails and sea slugs that are named after the Greek meaning for “wing-foot”. Shell bearing pteropods (i.e., sea snails) are at risk in the Arctic Ocean due to ocean acidification, which can corrode their structural armour. 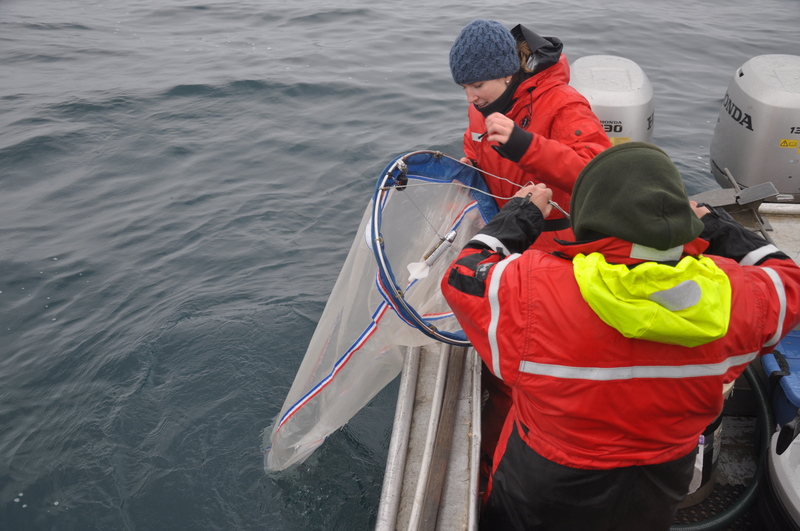 Once we finished washing down the net and pouring the sample into the jar we headed back into the harbour. The next day I would be heading out into Cumberland Sound with the multi-species research crew onboard the M/V Nuliajuk for three days of turbot (Scophthalmus maximus) fishing and zooplankton sampling. Thanks for checking out our field note. Stayed tuned for another update on deep-sea fishing! Since the weather has been cooperating, we have been pretty busy sampling over the past few days. I am VERY happy to report that we have successfully sampled near bowheads and all it took was ~800 feet of line, an automatic hauler and an incredibly skilled captain (and awesome crew too)! The bowhead whales seemed to be spending most of their time at depth, so we decided to change things up and sample from the sea bottom up to the sea surface. To do this, we attached our zooplankton net to the yellow line shown in the photo below and patiently waited for the net to sink straight down to the bottom. Once the yellow line was completely submerged we would haul up the net using an automatic hauler (hand-hauling for 200m would be a killer). 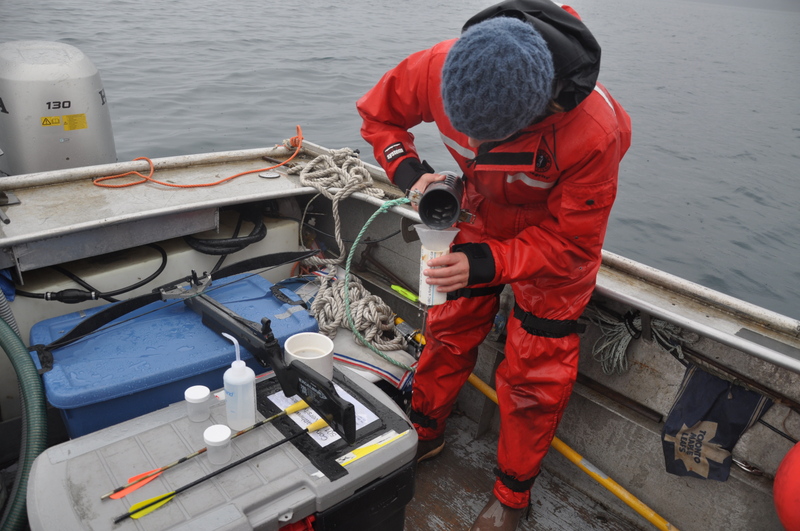 There was a fairly strong current while we were sampling, but we had a temperature-depth recorded attached to our net so that we would know the maximum depth sampled. 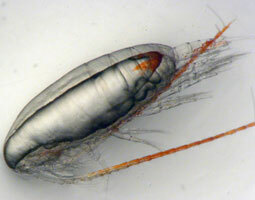 During our first tow at depth, we collected the densest zooplankton sample of the season! 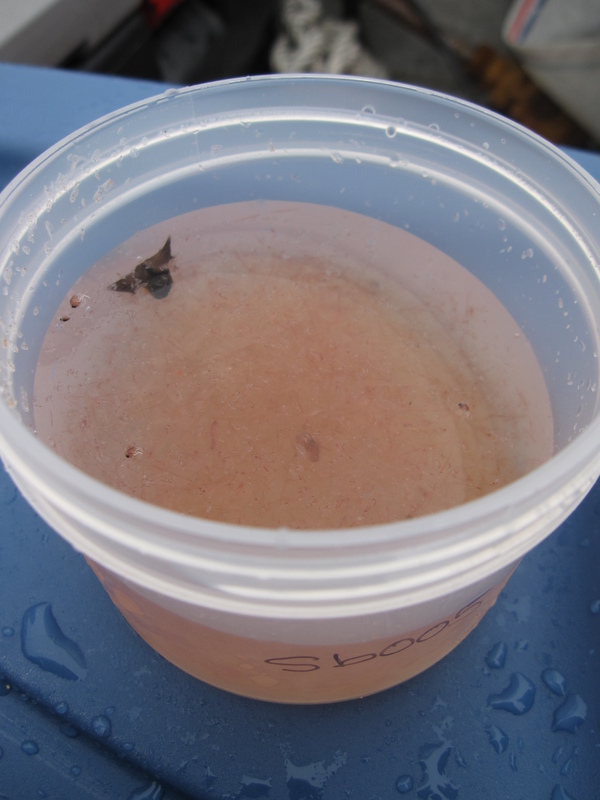 The collection bucket at the end of our zooplankton net was teaming with bright red calanoid copepods. Because we had a ton of critters, we decided to freeze a sub-sample for bomb calorimetry, which will provide important information on the caloric content of the sampled prey. We also preserved the remaining sample in formalin so that the organisms would be identified and enumerated later in the lab. 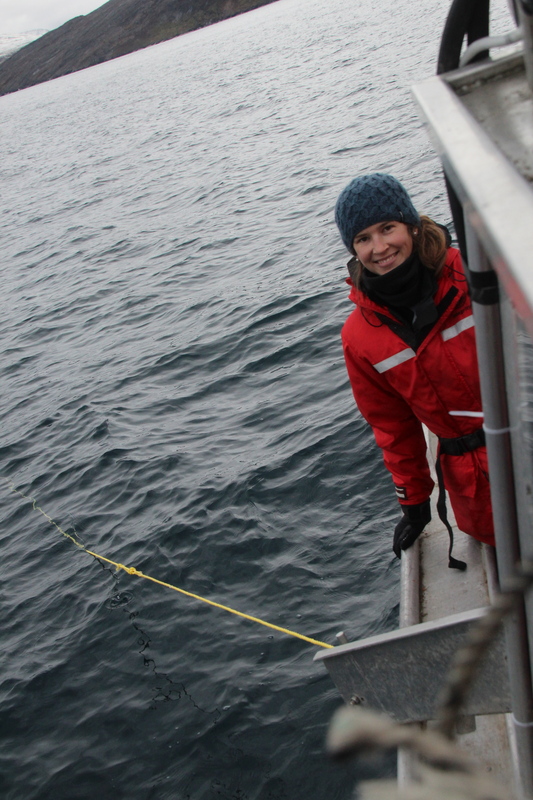 When we weren’t fishing for copepods, Natalie Reinhart and Cory Matthews (PhD students at the University of Manitoba) were collecting bowhead biopsy samples. Their efforts were incredibly successful, thanks to their excellent crossbow skills and the captains boat handling ability. 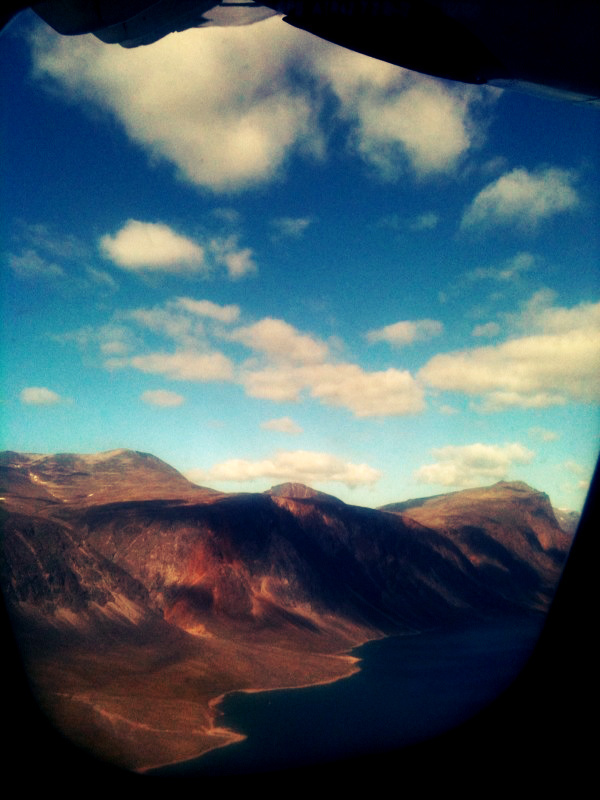 At 8 am we met our captain Ricky and loaded our gear onto a small 20 foot aluminum boat in Pangnirtung harbour. After traveling for no more than an hour past several icebergs, cliffs and rocky islands, we arrived in Kingnait Fiord where bowheads are commonly sighted. Although the sun was tucked away behind some thick, low-lying clouds and the rain was trickling down, the captain spotted over 30 bowheads in the area. The whales were popping up all over the place and were spending a good amount of time just resting at the surface. Once a few minutes had passed, the whales would take a breath and then begin their dive, lifting their flukes high out of the water. Map of cumberland sound. 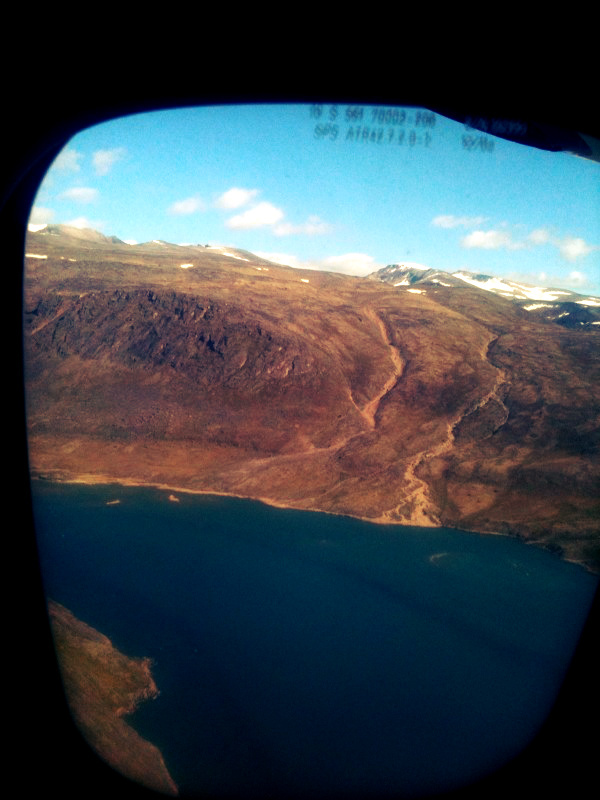 Kingnait Fiord is the largest fiord located on the northeast side of the sound. The crew (Cory, Nathalie and Mark) was able to get over a dozen biopsy samples that will be used for stable isotope analysis, which is a popular method used to make inferences regarding diet. My prey sampling, however, was rather unsuccessful as very few organisms were found in my surface and oblique (water column) net samples. Judging by the whale’s behaviour, which was dominated by long, high-fluking dives, we thought that they may be feeding at depth. Tomorrow were are going to change things up and use the captain’s fishing line and automatic hauler to sample at depth (~200 m). Fingers crossed we get some prey samples tomorrow! 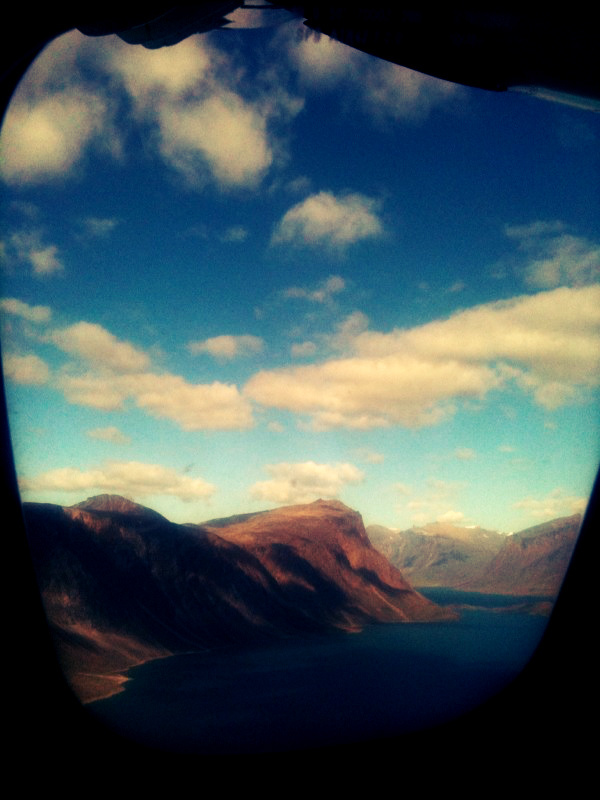 Passengers flying to Northern Canada are not your typical travellers. Instead of pulling out their papers, putting in their earbuds and starting up their laptops, folks are turning to their neighbours, introducing themselves, shaking hands and then starting conversation. It was this friendly conversation that very politely warned me that I may not make it to Pang on time (and possibly would be several days late). 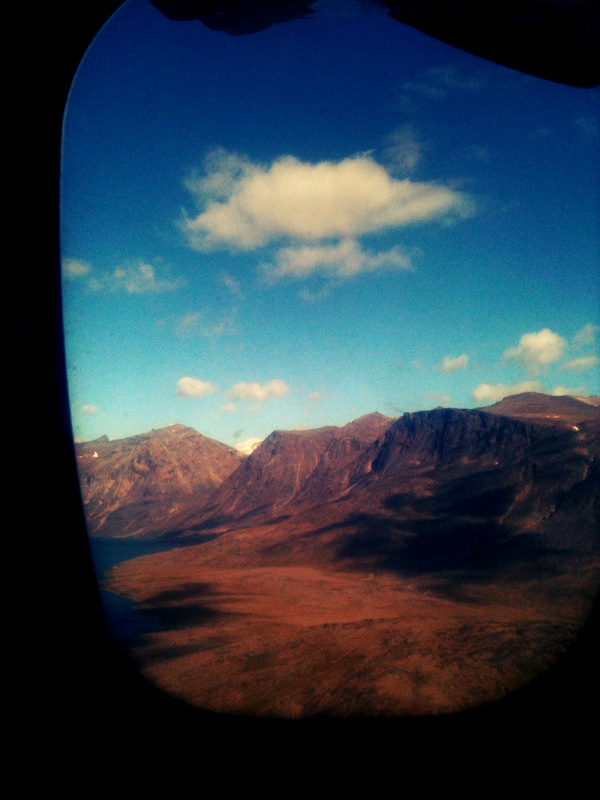 I had been told previously that flights are often delayed from Iqaluit to Pangnirtung but I hadn’t realized that flights frequently left for Pang and then turned around last minute because the conditions were not right for landing (e.g., wind and visibility). 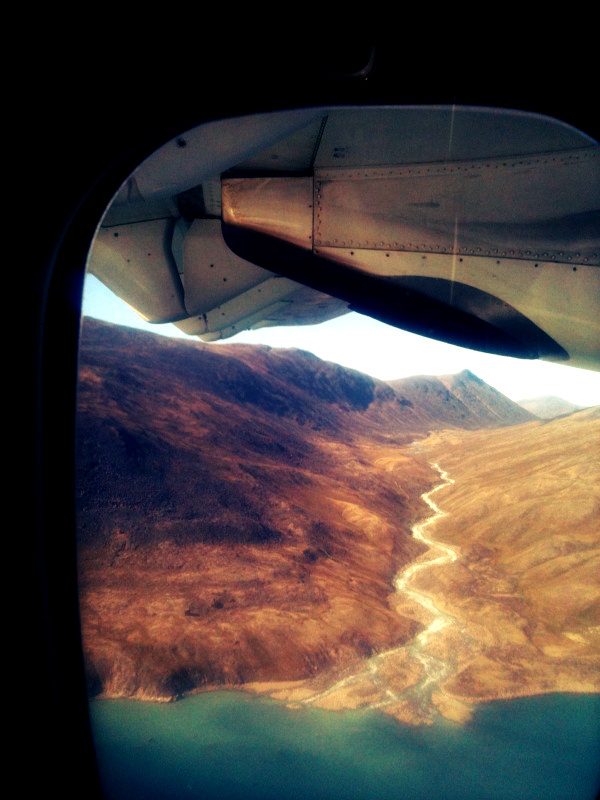 As it turns out, landing in Pang requires that the small aircraft weave in between steep cliffs (Pangnirtung Fjord) over the water. 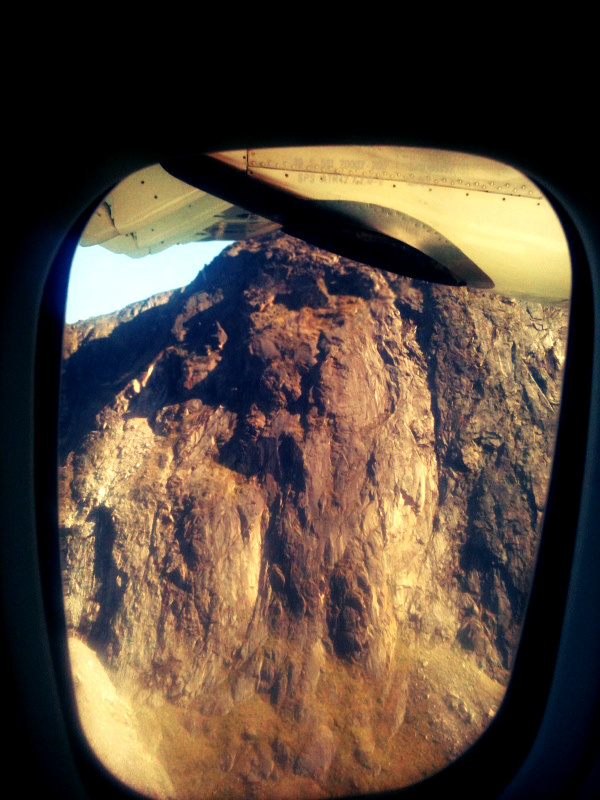 Once the pilot is essentially out of flying space, he has to make a giant u-turn following the cliffs again for a few moments before landing on the gravel runway in the middle of town. Given the many obstacles the pilots face I can completely understand why arriving on time is not a guarantee (and really is more a feat than anything else). 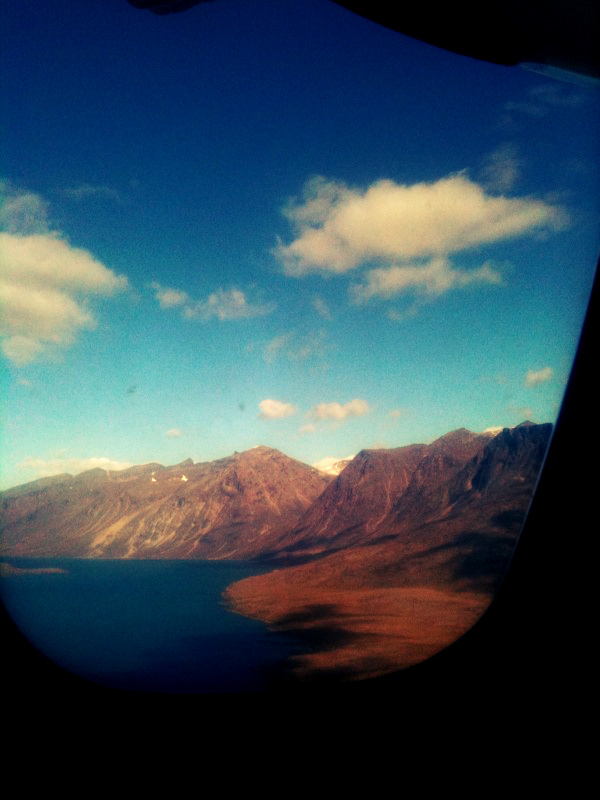 The view from my window while approaching Pang was like no other. 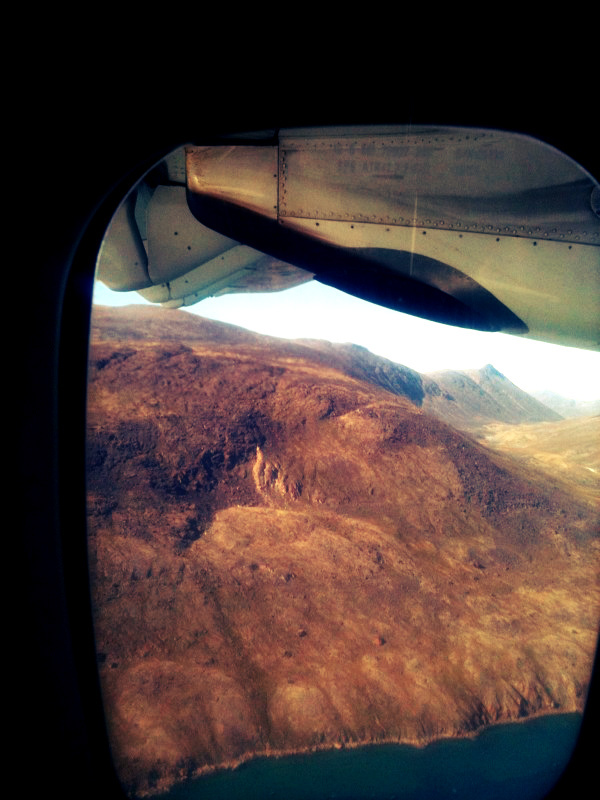 We flew over ice bergs, saw meandering rivers and bare, jagged cliffs. Before leaving Vancouver I was a little concerned about how I would get to the field house from the airport with all of my stuff…fortunately an incredibly nice Nunavut Department of Environment employee picked me up in an ATV and brought me to the house I would be staying in for the next two weeks. 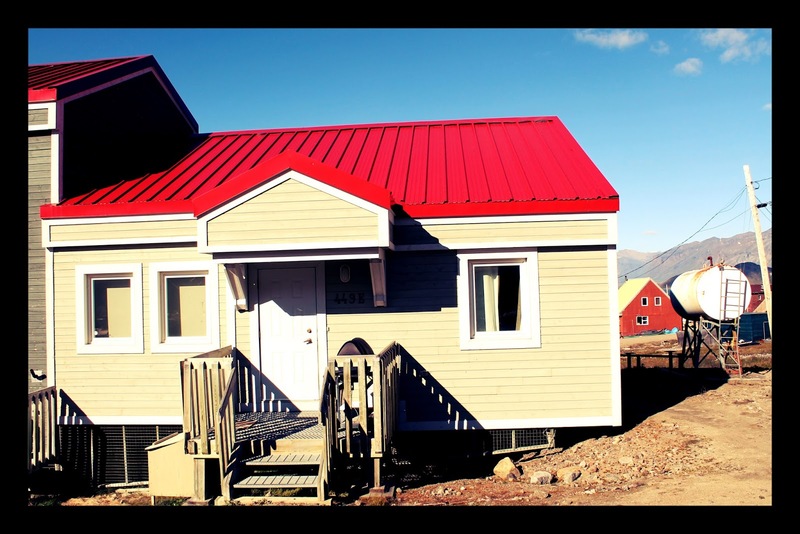 The house is super comfortable and well equipped with internet, a telephone and even a TV. I will admit though that it is rather strange to have the heat on in August, even though it feels more like fall than summer (I looked that this weeks forecast and there are a few days that are predicted to be below freezing…). Once I get unpacked I need to find the Hunter and Trappers Association to see if my shipment of formalin (to preserve my prey samples) has arrived and then I need to track down the conservation officer to get a permit to transport bowhead samples back to the lab (e.g., stomach contents, baleen, lean tissue, blubber, feces, urine and an eye ball)…it’s going to be an interesting few days for sure! Traveling to a small Arctic community is not easy, especially if you are lugging around 250 pounds of research equipment. I have never been the kind of person who packs light while traveling, but I also don’t think that I overdo it (although my mother would disagree). You might be wondering why I am headed to such a remote location and with so much stuff, so let me back up a little. Recently, I had the good fortune (no pun intended) to join a research team (Fisheries and Oceans Canada) up in Pangnirtung, Nunavut (“Pang”) to sample bowhead whale prey in Cumberland Sound. Bowheads are filter feeders and they graze on an assortment of copepods, krill and invertebrates. As it turns out, not much is known about the quality and quantity of bowhead food in the eastern Canadian Arctic and this is something that I learn more about out as part of my PhD research. While fumbling around the hotel and airports with all of my gear, I met a lot of incredibly nice people who helped me with my stuff. When I arrived at the hotel in Ottawa I had several cuts and bruises from trying to maneuver all of my stuff and a guest (also a geologist who did research in Nunavut) noticed some hotel staff standing around, watching me fumble with my ridiculous amount of gear (at 1:00 am no less!) and helped me lug it up to my room! The next day, I almost knocked a maintenance guy out when my pelican case flew off my stack of luggage and out the elevator. Thankfully, he picked it up and helped me get my dolly safely out of the elevator and into the lobby (I can’t believe that the Hilton in Ottawa doesn’t have bellhops). Once I arrived at the Ottawa airport I met a really nice engineer/musician traveling to Iqaluit who grabbed my duffel bag as it began to slide off my stack of belongings and then proceeded to carry my excess and overweight baggage to check in. My conclusion thus far is that people are awesome and I hope that next time I am waiting in line at check in and see some poor person struggling with their baggage that I will be able to give them a hand (cheesy I know but very, very true).